Zhongke provides optical sorting solutions for grain processors who demand the highest standards of grain quality with a focus on food safety and maximizing yields. Remark:We have many different models from 1 chute to 16 chutes to meet any different production capacity.ZL-10,ZL-12,ZL14,ZL16 are V structure type. For all different varieties of oats, whether rolled, hulled, kilned, malted or flaked, the precision sorting of the ZL range produces safe, clean products whilst maximizing yields. 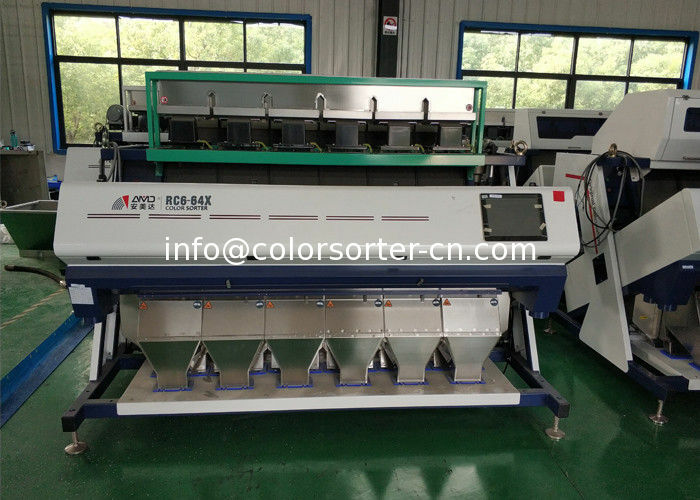 The Zhongke color sorter range can remove cross-contamination, foreign materials, discoloration and subtle spot defects. For all types of barley processing, the ZL range is highly effective in identifying and removing moulds and mycotoxins, including vomitoxin (DON) and Fusarium. The optical sorter also targets foreign grains and seeds, the broken, shrunken, shrivelled or naked grains. The ZL series is ideal for processors who sort a wide range of millet; hull or groat. Precise identification and ejection accuracy allows the removal of damaged, discolored or diseased grains, foreign seeds or materials whilst preserving a high yield.